What an inspirational young woman Tegan Brooks is! 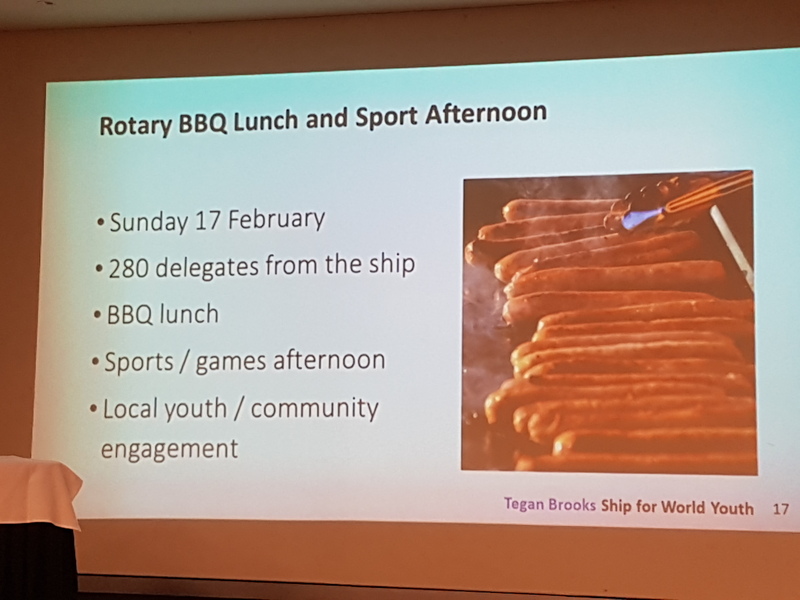 From difficult beginnings through an interesting journey of life, Tegan met a Rotarian who introduced her to RYLA, and the rest as they say is history. 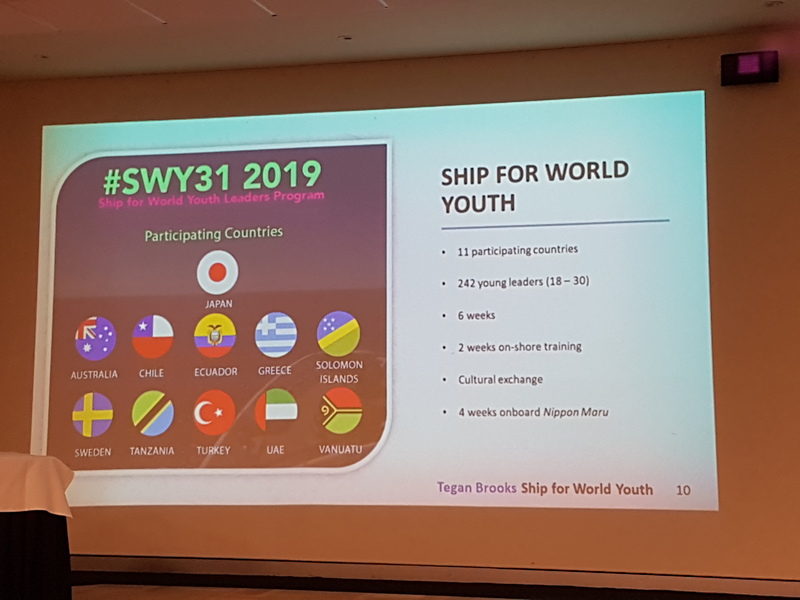 Tegan is now about to embark on yet another life changing adventure, on the Ship for World Youth. Tegan is certainly on her way to a very bright future, and you too can be part of that on February 17th, see below. AG Ritchie and Elwyn will keep you informed of the plans to involve Redlands Clubs in this event. Also entertaining us last night, with a very interesting Member's Corner was Lisa Nardone. Always great to hear about who our newer members are. 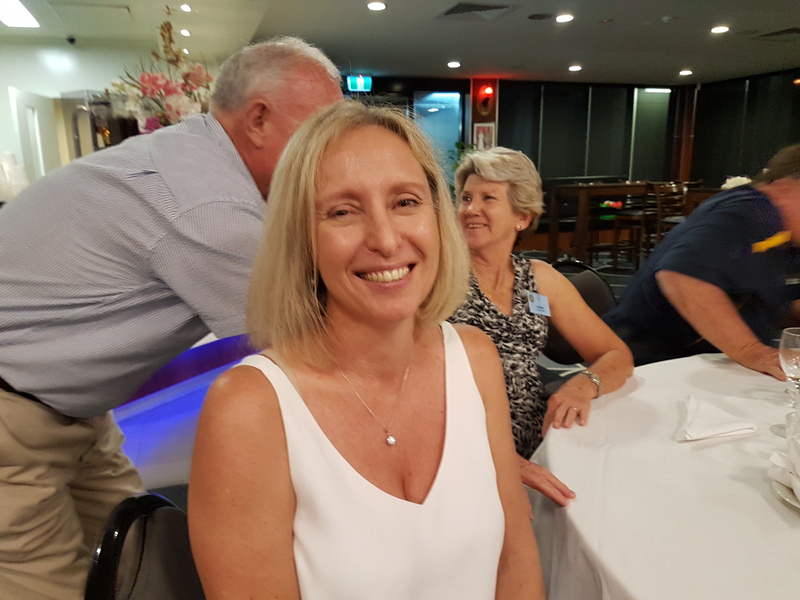 Welcome Lisa and we look forward to working with you as our newest Rotarian.